Merry Christmas and Happy New Year, My Lovelies! This will be the last post of 2016, and I hope to enjoy these last days with everyone home before the Spring Semester begins. This week I read two fun Christmas books. One was a cozy mystery, and the other one would make a fantastic Hallmark Channel movie. I love M.C. Beaton's mysteries. I've read several of her Hamish MacBeth mysteries as well as the Agatha Raisin ones. When I saw Agatha Raisin and the Busy Body at my local library, I thought it would be a fun read during the Christmas Holidays. A blood-curdling scream stirs Agatha Raisin from her surreptitious slumbers at the Christmas meeting of Carsely's Ladies' Society. In a holly bush in the vicarage grounds, Mr Sunday, an officer from the local health and safety board, is found dead. It seems his latest ruling against a Christmas tree atop the church tower may have been the last straw for the health-and-safety-hounded villagers. If festive cheer is to return to Carsely, Agatha must find the killer fast. But with so many people having threatened the life of the victim, it's almost impossible to know where to start. Poor Agatha. She attempts a Christmas holiday abroad in the sun that turns into a lonely waste of time with most of the restaurants and other attractions listed in the guidebook closed for the holiday. She returns home to a Ladies' Society meeting held at a dreary neighboring village vicarage only to witness the grisly murder of Mr. Sunday, the most obnoxious health and safety inspector in all of England. He was a bully and everyone hated him which makes everyone a suspect in his murder. He found reasons to basically remove all holiday displays under his jurisdiction due to "health and safety concerns." Plus Agatha is having issues within her agency, she's a victim of some very bad press, and her love life is nonexistent. Mayhap she should have stayed away during Christmas! This is a fun Agatha Raisin mystery. The middle-aged sleuth is more sassy than ever, and she doesn't allow the press, personal tragedy, and tight-lipped villagers get her down. She and her team chase leads and suspects, and the conclusion of this mystery is a shocking thriller. 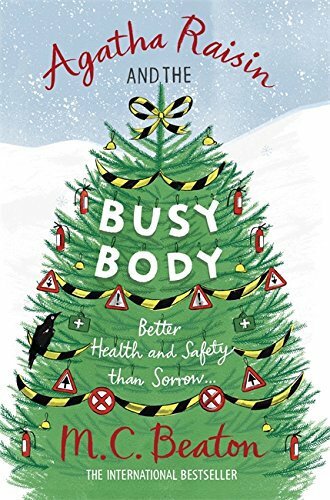 I highly recommend Agatha Raisin and the Busy Body if you enjoy cozy mysteries with a Christmas theme. 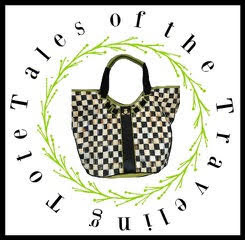 The second book is a sweet Christmas story written by Donna VanLiere. I've read several of her Christmas books, and one of them, The Christmas Secret, has been adapted as a Hallmark Christmas movie. I enjoy her stories because they focus on the true meaning of Christmas. This is the latest of VanLiere's Christmas novels, and it's nice to return to Grandon and revisit several of my favorite characters, especially Gloria and Miriam from Glory's Place. You can read my review for The Christmas Promise HERE. 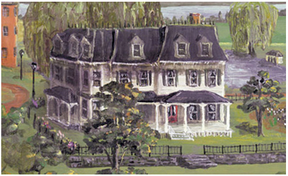 The Christmas Town is not really a sequel to The Christmas Promise. Both are stand alone books, but if you want more of a background about Glory's Place, then you might want to read The Christmas Promise first. You can read my review of The Christmas Secret (also about Glory's Place) HERE. Lauren is a character after my own heart. Both of her parents abandoned her, and although many of her foster parents are good people she's never felt like she belongs in any of their families. Determined to celebrate Christmas this year as a part of a family, she takes matters into her own hands by placing a Craig's List ad asking for a family who will welcome her as one of their own. In the meantime, she witnesses an accident in Grandon, a town about an hour from where she lives, and she quickly becomes involved with the town's Christmas festivities and a fundraiser at Glory's Place. It really isn't shocking who responds to Lauren's ad, but the circumstances and a relic from Lauren's childhood are enough evidence for the biggest doubters in town to believe in Christmas miracles. I also love Ben's character. He is a young man with a disability who works as a grocery bagger in one of Grandon's grocery stores. He spends hours each evening writing original handwritten notes he carefully chooses and places in his patron's grocery bags. Lauren meets Ben as a customer at the store, and she becomes interested in his notes because they seem so personal: How can Ben possibly know what encouragement people need in his checkout line? I think everyone needs a Ben in his or her life! 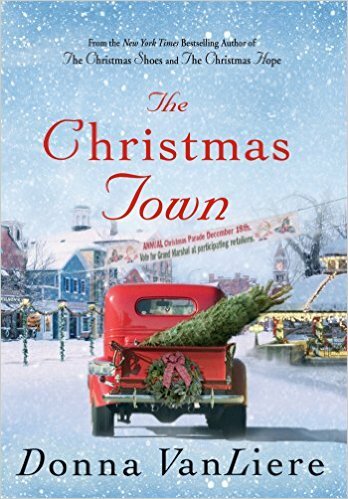 If you want to read a book to put you in the Christmas sprint, I highly recommend The Christmas Town. Happy New Year! I hope 2017 is the best year yet for you! I love a good Christmas read. I will have to pick that one up. Happy New year to you all. Both sound like great books to read, especially the Agatha Raisin which I haven't read yet. I must admit that I'm not enjoying the tv series about Agatha, just doesn't fit the book. My husband is watching them but I tend to focus on my knitting or crochet while it is on. Both books sound great. Happy New Year my sweet friend. Enjoy your time with the girls. I had almost no time to read during Christmas, but hopefully that will change. I hope to resume my reading this week! The holidays left me no time for reading. These books sound like really good books for these days. Hope your New Year is off to a great start. We are home now, enjoyed time with family for New Year's Eve and Day............Hope to get together for more lunches in 2017! Those sound like great Christmas reads! I read a couple new Children's Christmas books, but the books I had chosen stayed on my shelf. Perhaps next year. Hope you had a wonderful Christmas and have an amazing 2017.